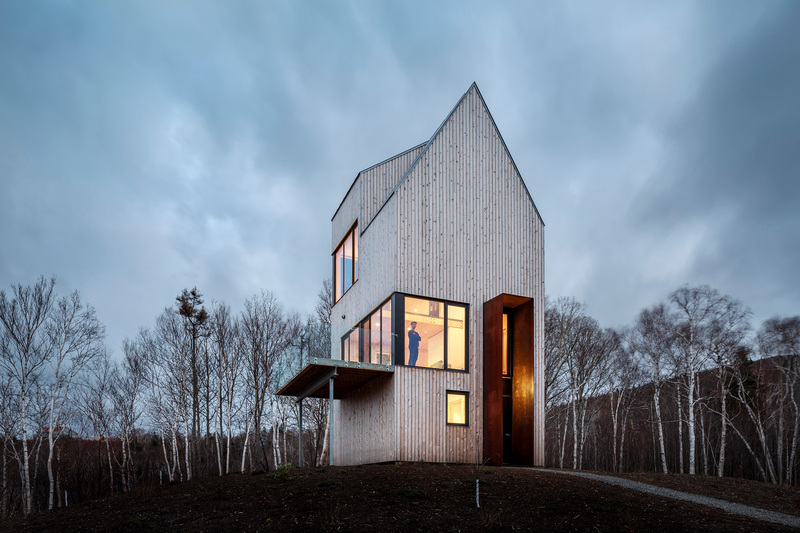 The cabin at Rabbit Snare Gorge is the first of three small creature-like structures on a 46-acre parcel of land on the rugged wooded coastline of rural Cape Breton. 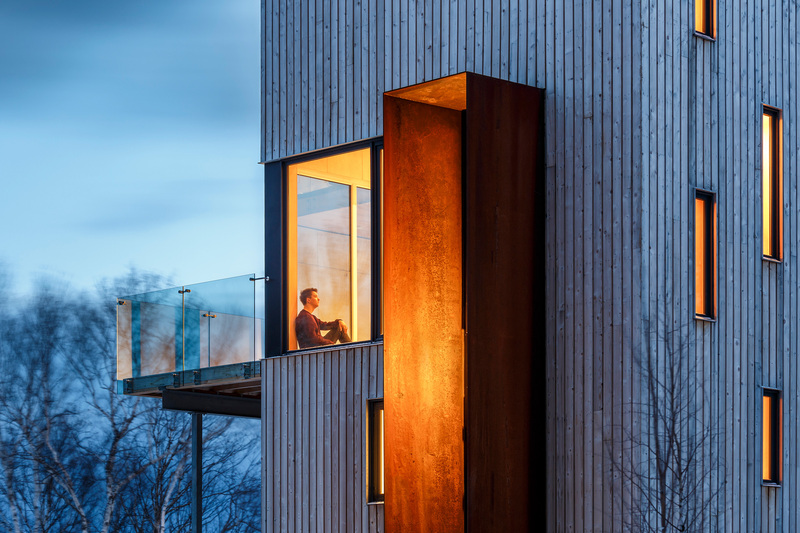 Sitting on the top of a steep gorge in dense woodland, the cabin is a lean, tall steeply-gabled tower, transformed to afford major viewing platforms with views over the entire property including the Northumberland Strait. 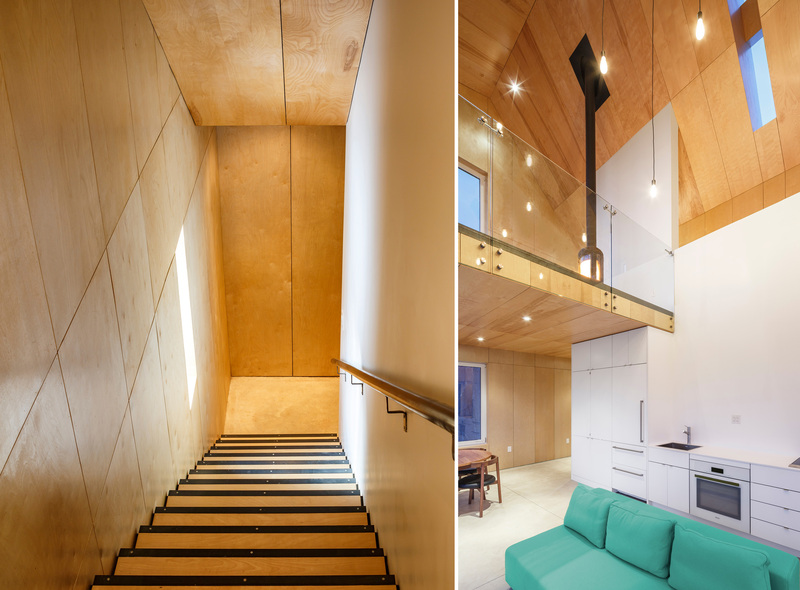 The wood-clad exterior, the six-metre-tall steel windbreak, and the warm wood-clad interior draw from a rich tradition of building construction in the region. It is light on the land and heavy against the wind. 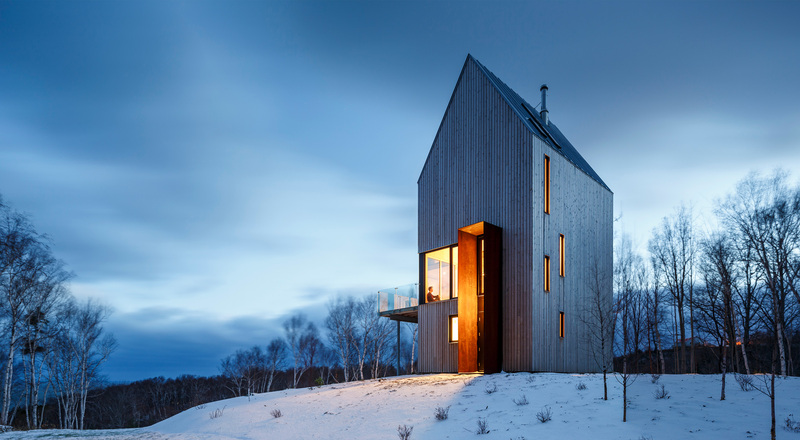 "Rabbit Snare Gorge suggests an alternative idea of a dwelling in the Canadian landscape. The programme is simple: a country home on a small footprint with an elegantly restrained palette inside and out. But the architect has visually ͞stretched͟ what we think of as conventional house proportions, distorting and transforming the structure into something slightly otherworldly. Its narrow verticality, slot windows and over height door offer a provocative new image of the cabin in the wilderness. 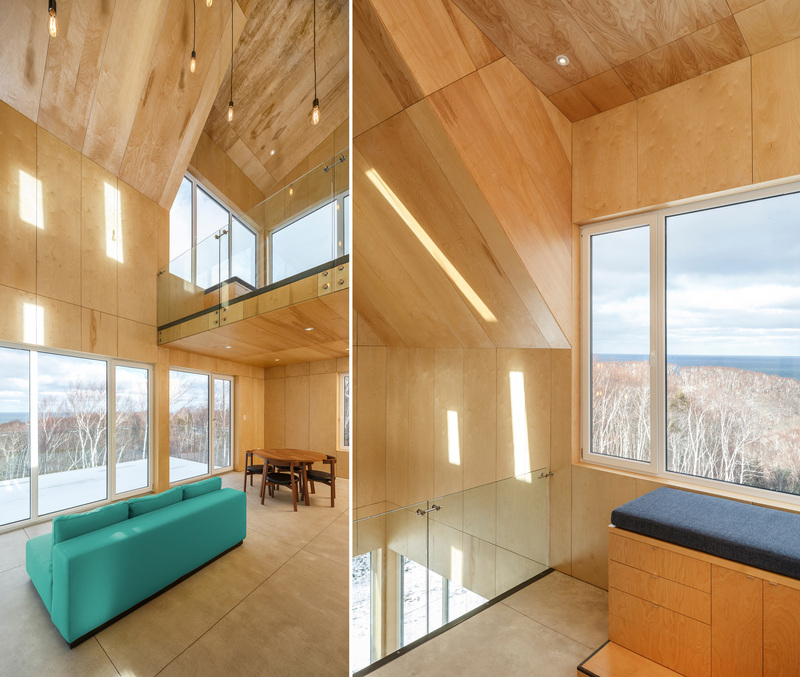 The upper floor deck offers an elevated perspective of the surrounding valley, completing the project’s uncanny persona."